Seven hundred eight meters above sea level. That's how high the top station of the Langkawi Cable Car is, and in lieu of my tradition of visiting the tallest skyscraper of every city I'm in, getting to the top is as good as being in the viewing deck of a supertall. 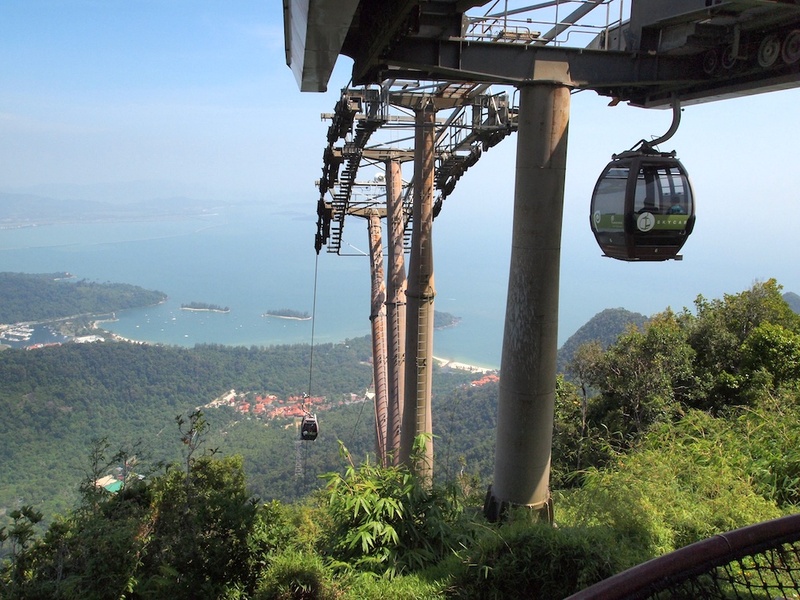 Riding the cable car all the way to the top and taking a walk on the Langkawi Sky Bridge were the highlights of the afternoon on my first day in the island. We skipped some of the touristy places the guide suggested, such as the eagle statue on Eagle Square, and went directly to the base station right after lunch. 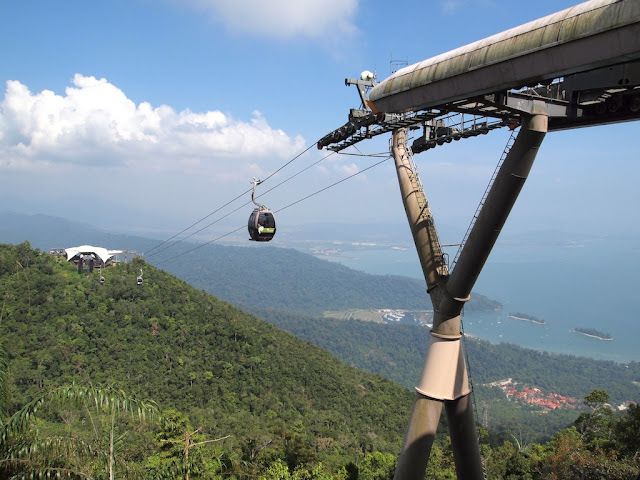 Langkawi Cable Car is about 15 minutes from the airport. 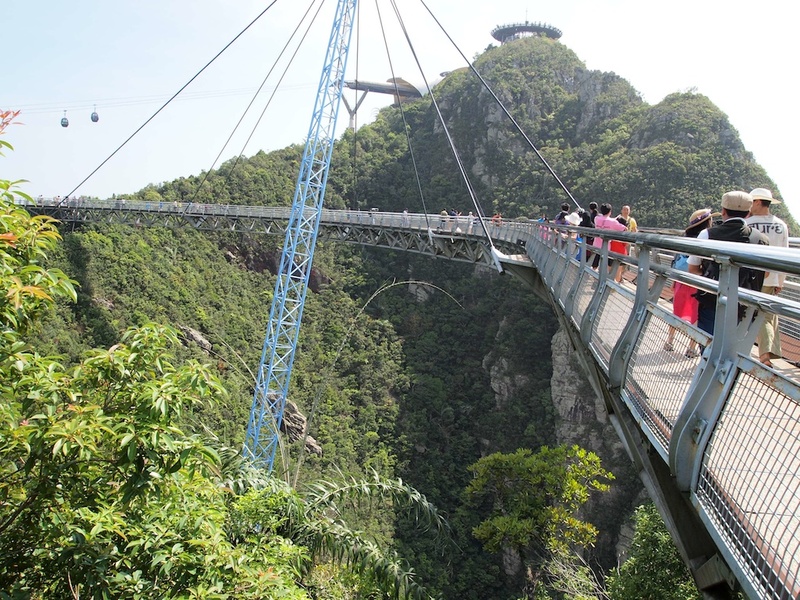 Its total length is 2.2 kilometers, with 3 stations, terminating on the peak of Gunung Machinchang. 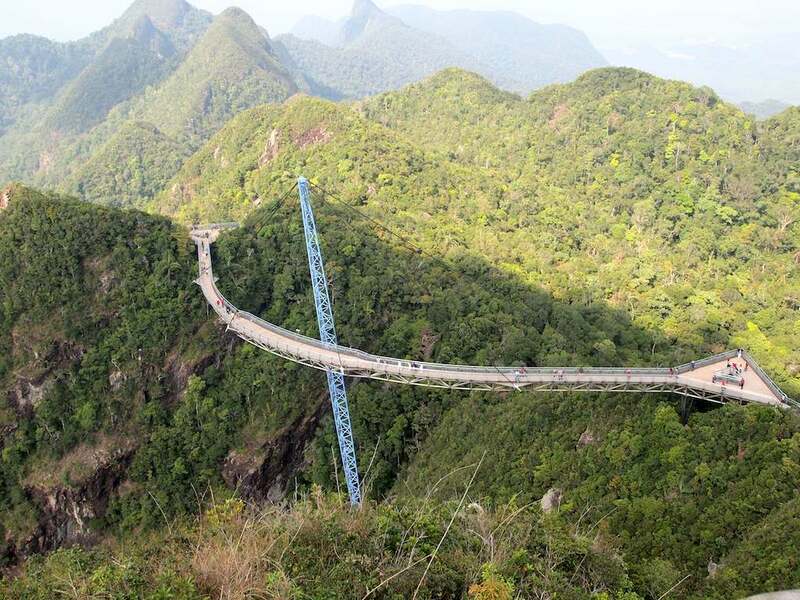 At its steepest, it has a gradient of 42 degrees. The middle station is about 1.7 kilometers from the base and has an elevation of 650 meters above sea level. Hanging from the 6-person gondola affords one of a view overlooking the harbor on one side, and the forest and the waterfalls on the other. The top station is about 700 meters above sea level. 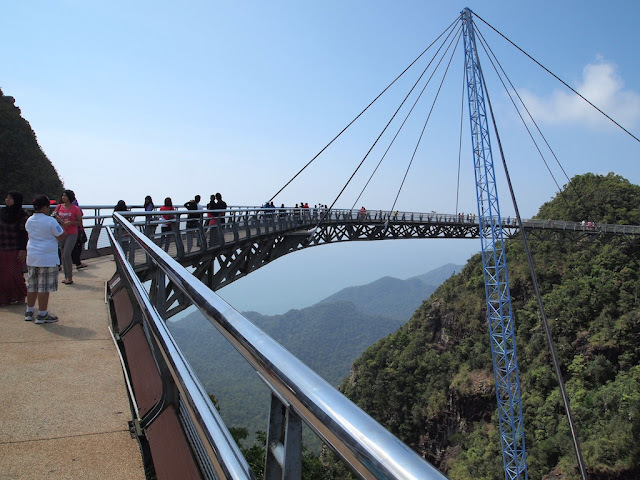 It is connected to the Langkawi Sky Bridge - a curved pedestrian cable-stayed bridge about 125 meters in length. Another viewing deck, located at the peak of the mountain, is also accessible from the top station. The sky bridge is impressive in a sense that they were built to span the top of the mountains, giving a rather vertigo-inducing view of the limestone cliffs and forests below it. Adding to the thrill is that fact that the bridge sways if there are enough people traversing it at the same time. The admission price for the cable car is RM22, and it is open until 6 pm.